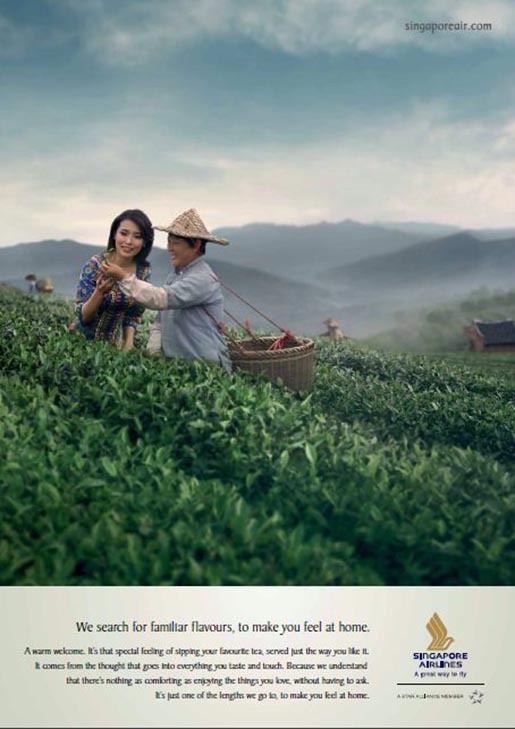 Singapore Airlines has launched “The Lengths We Go To”, an integrated advertising campaign promoting the airline’s commitment to high quality service. 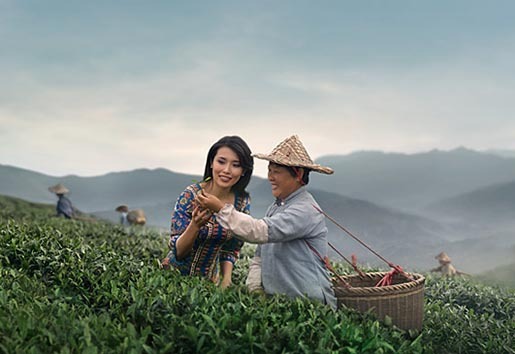 The global campaign includes three commercials featuring the Singapore Girl, showcasing the airline’s efforts to deliver the best travel experience to its customers. The microsite thelengthswegoto.com features the three films, a behind the scenes look at the production of the commercials, photo essays and videos explaining how SIA’s brand promise is validated through its offerings. The Airline’s YouTube page now features more interactive navigation and enhanced organisation of content. The “Understanding Your Needs” commercial, “Searching for Familiar Flavours”, depicts how SIA tailors quality products to suit the needs of its customers. A tea plantation and teahouse in Fujian were selected as the setting as this is the region from which SIA sources Jasmine tea. The “Creating Around You” commercial, “Selecting the Softest Leather”, illustrates how SIA delivers the comforts of home through innovative products and services. Glasgow-based Andrew Muirhead & Son, Europe’s oldest tannery, was used as the filming location as it is where the leather used in SIA’s Business Class seats is produced. 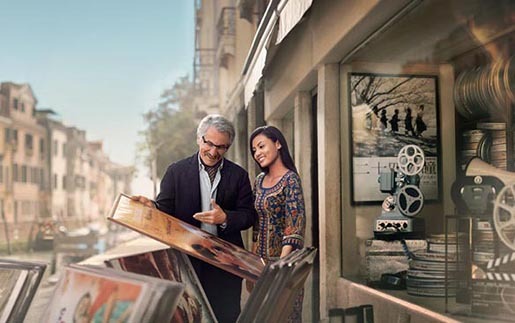 The “Bring You The World” commercial, “Finding Films You Love”, demonstrates SIA’s focus on curation to offer customers the best from around the world. Set in Venice, the commercial features the Venice Film Festival, for which SIA is the Official Airline this year. “We search for what’s special. For what lifts an experience to another level. And that unspoken feeling doesn’t happen by chance. So no matter what changes, this commitment holds true. We’ll find what truly matters, to make you feel at home”. The Lengths We Go To campaign was developed at TBWA\Singapore by creative director Mel Du Toit, art director Reggie Ocampo, copywriter James Holman, head of strategy Robin Nayak, group account directors Dawn Lee and Serene Koh. Filming was shot by director John S Park via SixToes TV and AppleBox Asia with executive producer Haydn Evans and senior producer Sariyanti Sannie. Music was composed and produced at Song Zu, Singapore, by composer Haydn Walker and music producer Gerard Fitzgerald.